Book 2 in the exciting Double Dare miniseries! 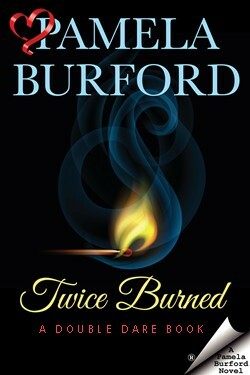 Twice Burned, an RT Reviewers Choice Best Book Awards finalist, is book two in a two-part romantic suspense miniseries by identical-twin authors Pamela Burford and Patricia Ryan. Each book is a stand-alone romance novel that can be read and enjoyed on its own. 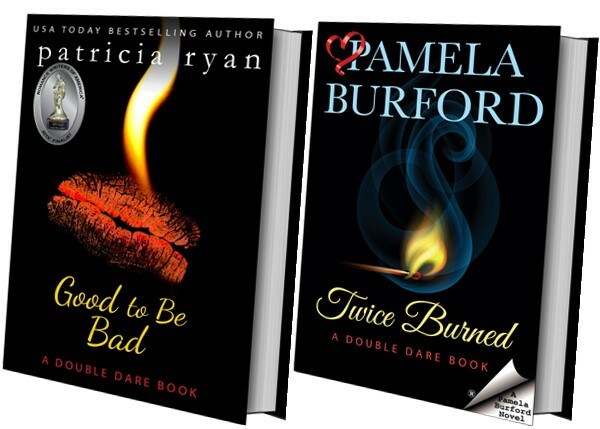 The suspense story line begins in Good to Be Bad, by Patricia Ryan, and concludes in Twice Burned.